The Holiday Inn of Laramie is conveniently located just minutes from the Laramie Regional Airport, the University of Wyoming, and Wyoming Technical Institute. 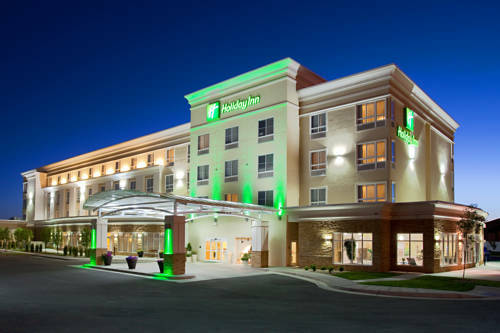 Our Laramie hotel embodies and exceeds the level of service and hospitality youve come to expect from the Holiday Inn brand. Whether your visit brings you to our hotel in Laramie for business or pleasure, the Holiday Inn Laramie is ready to serve you! Our hotel features a state-of-the-art event space and our guest rooms have a contemporary design with high-definition TVs. Complimentary high-speed wireless Internet service is available throughout the hotel. Enhance your business trip with our 24-hour Business Center with computer, copying, and faxing services. Enjoy all your favorite dishes in Perkins Family Restaurant or just order room service! Dont forget to bring the little ones along because Kids Eat Free. Relax by our indoor swimming pool and spa. Enjoy an invigorating workout in our on-site Fitness Center. While visiting Laramie, take time to enjoy special attractions such as the Lincoln Monument, the Vedauwoo climbing area, Yellowstone Park, and the 1800s Western Outlaw Festival Relax its the Holiday Inn Laramie! Family style restaurant with a full breakfast, lunch and dinner menu. Our Guests do recieve a special "6 for 6 Dollar Breakfast Menu" by presenting their keys. And of course, kids eat free!!! Just get your KEF coupon at the front desk. We feature a full bar with a limited menu of breakfast, lunch and dinner menu items. This super Walmart has everything you will need. Shipped from the Antarctic, Emperor the Penguin didn't make it alive. That didn't deter his owner from displaying him as a mascot. There's another Wyoming Emperor the Penguin west on I-80 in Little America.